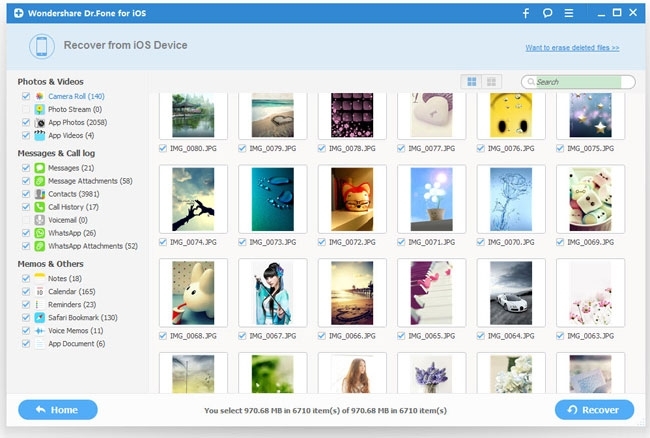 Many Android users wonder if there is a method to recover deleted photos/videos from Android. If the file is just recently deleted, you may be able to recover it with Android file recovery software. The best way to recover lost photos or videos on an Android phone is to use Wondershare Dr. Fone software. You can download the Wondershare Dr. Fone software from this website. Wondershare Dr. Fone is compatible with Windows 8, Windows 7, Windows Vista, and Windows XP. 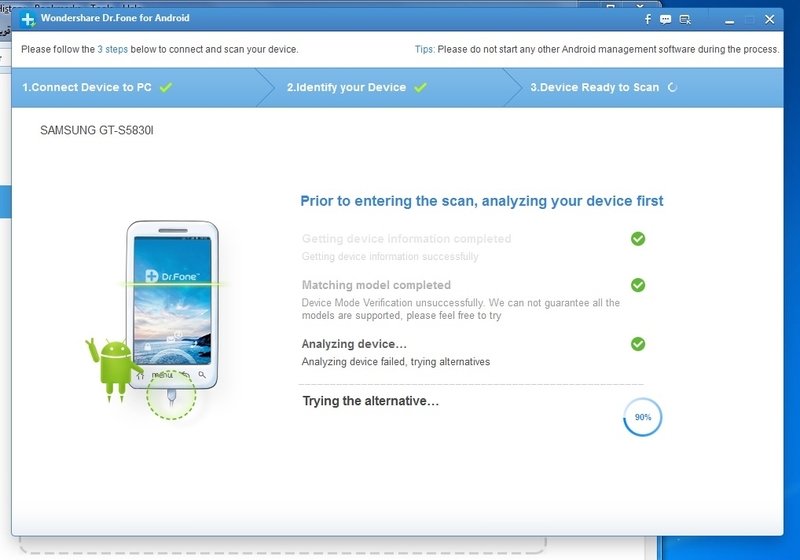 First, you must connect android device to your Pc. After connecting the device to your Pc, follow the instructions on the screen to enable USB debugging depending on which Android version your device is using. Before using the software to recover your files, make sure your device is fully charged as it will take some time for the files to be scanned. The second step is to press the Start button to begin analyzing the data. After it has finished analyzing, go to the home screen and tap Allow and then tap Allow one more time. After that, you should tap on Start to begin scanning the phone data. You will be prompted to choose what types of files you want to scan such as gallery, video, messaging, audio, videos and documents. After choosing the files you want to scan, select Next and select Scan for deleted files. You will be able to see how much remaining time there is until the scan is completed. You can press the Pause button to pause the scanning process. To stop the scanning process, press the Stop button. After it has finished scanning, the deleted photos/videos that can be recovered will in the main window. If the photo/video you want to recover did not show in the window, you will not be able to retrieve it. The file name can be seen underneath the photo/video. You can check the photos/videos you want to recover and tap the Recover button at the bottom to recover it. 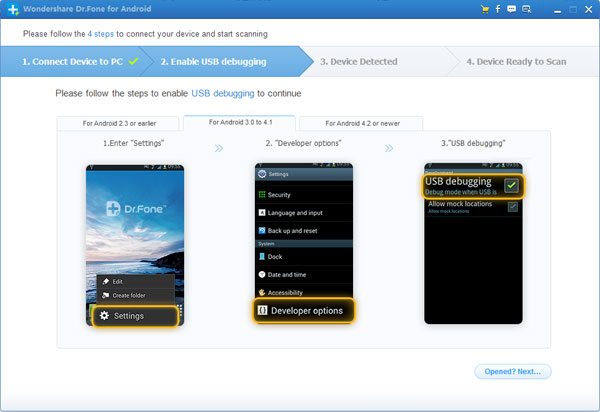 In conclusion, Dr. Fone is a great file recovery tool that can quickly recover lost files on an Android device. It can recover files due to deletion. It can also recover lost data on a device that previously have water damage or damaged hardware. It can recover files that have been lost during an upgrade of the operating system. Dr. Fone can also recover files lost during a factory reset.